We all make stupid decisions, especially when we’re young. A popular bet is getting a tattoo. Oh, yes, that’s right. You’re looking at it now, huh? What is it? The name of the person you’d spend forever with? A drunk decision that misspelt “angel” into “angle”? Or a distasteful faded demon at the back of your neck peeking at your co-worker? Whatever it may be, worry not because you can now remove your tattoo with different dermatological procedures. 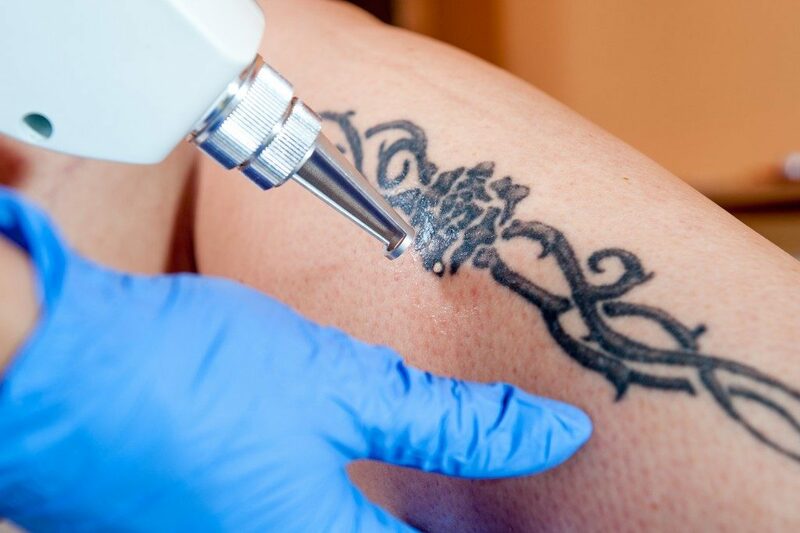 Before getting into this, here are the risks of tattoo removal: scarring, infection, and skin discoloration. Of course, it is also possible for you not to get any of this. That is if you’re lucky. However, dermatologists are also skilled enough to make it seem as if it were never there. Diving into a tattoo removal is not and should never be a thing. There would be no dermatologist in the right mind would perform the procedure without prior consultations. Each has different skin types and therefore, reacts uniquely to various stimuli. In addition to that, tattoo inks are also not the same. Some of these may respond better to a specific treatment compared to others. There are three popular ways to remove a tattoo; through laser surgery, through removing it surgically, and dermabrasion. This seems to be the most popular treatment among the three, not to mention, the safest. The procedure involves utilizing a laser that zeroes in its energy on the tattooed skin. What this does is it breaks the particles of the ink that is embedded into the surface. The tattoo is essentially a pigmented skin cell that is broken apart by laser-precise equipment. Over time, the lasered area will regenerate its skin cells that have the natural pigment of your skin. Do not worry about the pain that this treatment might inflict upon you because the target area will be numbed before the procedure. Once the treatment is done, swelling, blistering, or bleeding is completely normal unless your doctor says otherwise. The laser process is not a one-time thing. It takes multiple sessions to lighten the tattoo. What might be sad is that it might never be erased entirely. From the name of the procedure itself, you can already tell that it might be a little rough. And rough it is, the procedure utilizes a device that sands your skin until the tattoo ink seeps out. The machine rotates at high speed and is equipped with an abrasive wheel. The targeted area won’t be looking fine for a few days, and it will hurt. After it fully recovers, the chances of success are 50/50. This procedure might not be attractive for those who are looking for a scarless result. However, it can guarantee you a hundred percent success rate in removing the tattoo. This is because the procedure involves slicing the tattoo off and merely stitching the skin back. Prevention is better than cure, they say. So perhaps if you want to have skin free from scars, do not get a tattoo that you’d regret. Still, be thankful that there are procedures to remove your lame tattoo.